It is important to understand how fish oil produces its effects. The main benefit is the high omega-3 content derived from the fish oil. More specifically, Docosa Hexanoic Acid (DHA) and Eicosa Pentanoic Acid (EPA) are two key omega-3 fatty acids that produce anti-inflammatory effects in our bodies, while omega-6 fatty acids produce pro-inflammatory effects. The reason omega-3 supplementation may be effective is the high content of omega-6 in the Standard North American Diet . The ideal ratio is approximately 1:1 and 1:3 of omega 3-to omega-6, whilst the average North American has a ratio closer to 1:21! One mistake many people make is supplementing with flaxseeds. Flaxseeds have a high content of omega-3 fatty acids; unfortunately only about 5 per cent of the omega-3 fatty acids in flaxseeds get converted to the usable form of DHA and EPA. Inflammation has recently been suspected to be a culprit in the current rise in of chronic diseases and dysfunctions such as CVD, diabetes, Alzheimer's and obesity. Reducing inflammation to appropriate levels is essential to maintain optimal health; the omega-3 fatty acids in fish oil may be a key factor in reducing inflammation. Because there is a strong correlation between omega-3 and decreased risk of CVD, it is being considered as a diagnostic test. Inflammation is a major factor in CVD, and omega-3 fatty acids are believed to change the environment in the endothelium (artery walls) to decrease the inflammation. Australian research states that omega-3 supplementation may reduce blood pressure. DHA was reported to be the biggest contributor to this effect. The study showed that the risk of ischemic stroke was reduced, which may be attributed to the decrease in hypertension as well as the improved elasticity of the arterial membrane. In research studies, sufficient intake of omega-3 fatty acids showed an improved blood lipid profile in test subjects, decreased triglyceride levels, increased HDL and decreased LDL. It has been suggested the omega-3s speed up the rate at which your body clears the "bad" lipids and improves the ratio of LDL to HDL in a favourable manner. Omega-3s may increase brain development in childhood as well as contribute to brain function in adulthood. The deficiency of DHA and EPA may also be a factor in cognitive impairment. Omega-3s may also play a significant role in preventing and treating neurodegenerative diseases such as Alzheimer's and Parkinson's Disease. Omega-3 rich fish oil was found to be highly effective in the treatment of rheumatoid arthritis while simultaneously reducing the need for arthritis medication. Other studies also reveal promising results for other autoimmune-related disease treatments using fish oil. In a study involving overweight women, it was found that omega-3s may be beneficial as a weight loss aid by increasing postprandial satiety. The subjects reported feeling full with a lower food intake compared to the control group. Another study found improved body composition in young males supplementing with fish oil. OK I get it, so how much should I take? The Heart and Stroke Foundation recommends getting fish oil through the consumption of fish. In theory, this is a great idea; in practical terms it is not always possible. Salmonids (salmon, rainbow trout, etc.) and other cold-water fish (cod, sardines, etc.) do have a high yield of EPA/DHA, but are also very commonly farmed and usually fed a diet high in soy as well as genetically modified corn (both high in omega-6 as well as containing other toxins). This nullifies the beneficial effects of fish oil through consumption of fish. Using high quality fish oil from a reputable company helps circumvent this potential problem. The recommended dose of omega-3 intake is set at 0.7g daily for healthy individuals and 1g daily for individuals at risk of CVD. This translates to 2-3 grams per day of a high quality fish oil supplement. These dosages are considered acceptable, but may be far from optimal. Robb Wolf, author of "Paleo Solution" recommends 2-4 grams of EPA/DHA per day or 6-12 grams of a fish oil supplement per day. However, it isn't recommended to begin taking 12 grams of fish oil capsules immediately. Fish oil tends to cause fishy belches as well as diarrhea when taken in high doses. However, beginning with a lower dose with meals and slowly increasing the dosage should decrease these side effects. More importantly, do not forget that it is the ratio of omega-3 to omega-6 that most important, not the total fish oil intake. If your diet consists of foods with low quality fats that are filled with omega-6 fatty acids, you will most likely require more fish oil. However, if your diet is devoid of omega-6 fatty acids, you will most likely require less. It is best to consult your physician for testing to determine your dosage. What are some trusted sources? What about mercury? Reputable brands are generally better quality and the EPA and DHA content should be sufficient. Brands such as Carlson, Natrasea, and Progressive are considered reliable sources. However, it is best to avoid low quality products because they often use inferior oils as well as residual products left behind by the manufacturing process. A 2006 ConsumerLab evaluation of 42 commercially available fish oil supplements found that all were free of mercury, PCBs and dioxins. Who shouldn't take fish oil? Fish oil is contraindicated for individuals suffering from haemophilia or who take blood thinners. 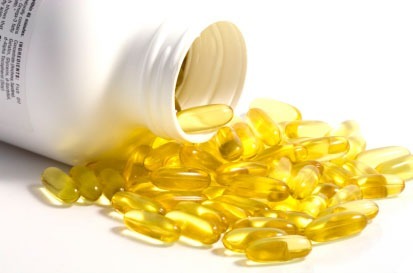 Consuming more than recommended dosages of Omega-3 fish oil may lead to symptoms such as gastrointestinal problems, aching joints, and bleeding gums. Though fish oil has not prevented a major medical illness in my life, I do find it to be very beneficial when I am under a lot of physical stress. Fish oil and Vitamin D (with K2) are the two supplements that I always travel with. Unless you live in Alaska and eat fresh fish daily, there is a good chance that you can benefit greatly from supplementing with fish oil in your diet. 1- Horrocks 8.LA, Yeo YK. Health benefits of docosahexaenoic acid (DHA). Pharmacol Res. 1999 Sep;40(3):211-25. 2- Kidd PM. Omega-3 DHA and EPA for cognition, behavior, and mood: clinical findings and structural-functional synergies with cell membrane phospholipids. Altern Med Rev. 2007 Sep;12(3):207-27. 3-Caygill CP, Charlett A, 17. Hill MJ. Fat, fish, fish oil and cancer. Br J Cancer. 1996 Jul;74(1):159-64. You can also read more about this topic here.